On the verge of our 50th anniversary, we decided to revamp the visual identity and packaging of our original and most well-known brand. 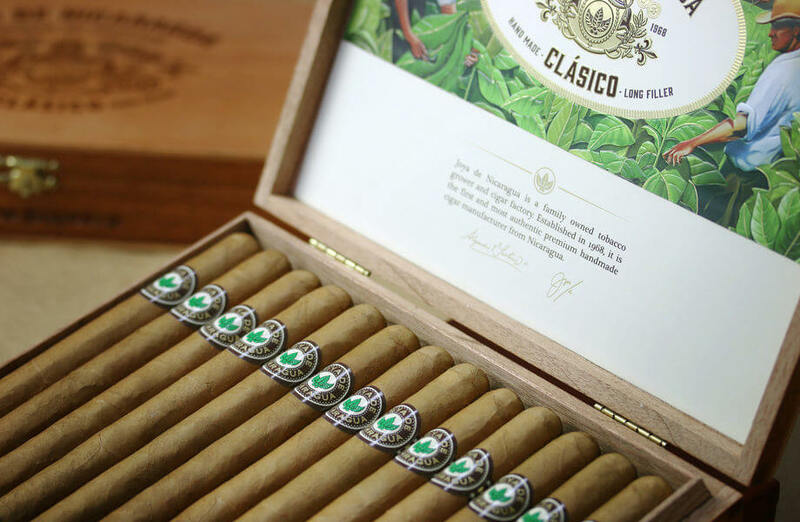 Joya de Nicaragua Clásico is the longest standing and most widely distributed cigar brand in JDN’s portfolio, currently available in 10 vitolas in 50 markets around the world. “We wanted to bring back the beautiful artistic look of the original Joya de Nicaragua box, so we commissioned an expert digital artist to recreate the brand’s original painting, showcasing the beautiful landscape of northern Nicaragua.” said Juan I. Martinez, Executive President of JDN. The first box is from 1968, the second one was released in 2009, and the latest one from the 2017 release. 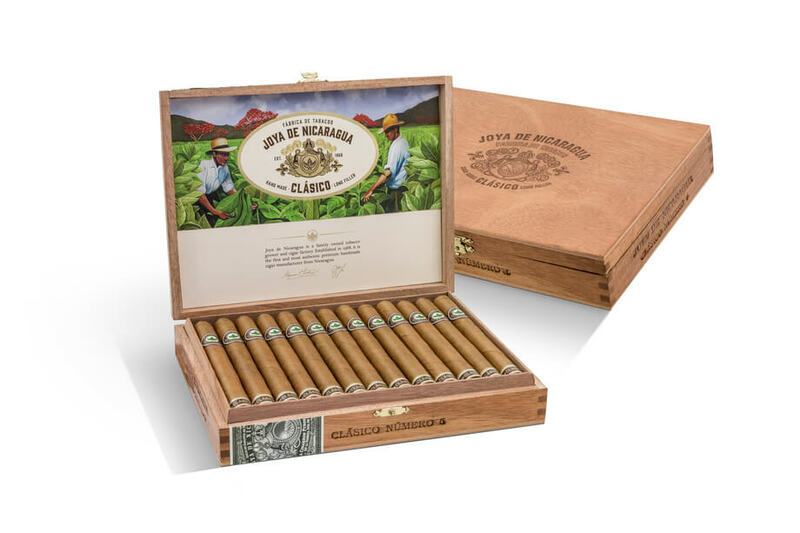 “The inside label shows a painting of a tobacco field in the Valley of Estelí, which is where our history began. The human, artisan and artful side of our brand is also portrayed, with the on-duty tobacco growers on the front. On the background, you’ll see the curing barns and the ‘malinche’ trees with their vibrant red owers, an iconic ornament present at our factory, too.” continued, Martinez. This is the only brand to feature JDN’s vintage ‘coat-of-arms’ as the main logo, depicted on the top part of the box and its inside label. It’s meticulous in composition and nish; with beautiful hand-made embossings, golden and foil inks and a combination of varnishes which add depth and make the picture almost come to life. ficially recognized as the country’s national cigar. 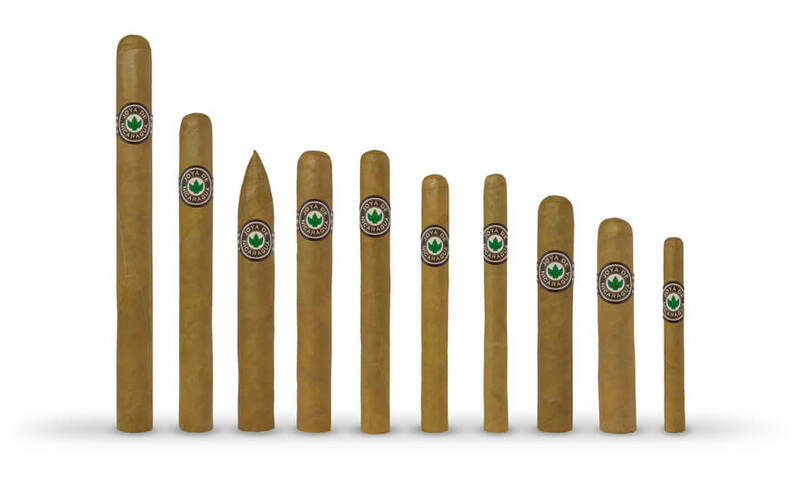 It is currently Joya de Nicaragua’s best selling cigar in the European Market. This is a mild, woody and delicate smoke, adorned with a silky Ecuadorian Connecticut Wrapper.